Rick Honeycutt has worked alongside three-time Cy Young winner Clayton Kershaw for the duration of the lefty's career. Although the Los Angeles Dodgers have informed their coaches that they are free to pursue opportunities elsewhere as they sort out their staff for 2016, they reportedly don’t want to lose longtime pitching coach Rick Honeycutt in the shuffle. According to MLB.com, the Dodgers are in talks with Honeycutt about a multiyear extension that would keep the long-tenured pitching coach on Los Angeles’ staff despite the recent departure of manager Don Mattingly. 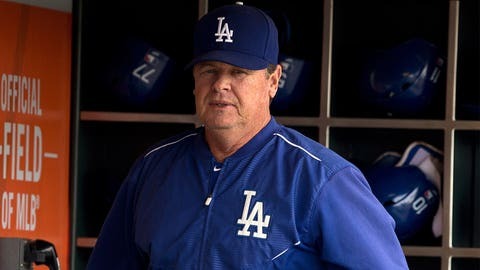 Prior to working alongside Mattingly, Honeycutt, who has been with the Dodgers for 10 seasons, served as pitching coach under both Joe Torre and Grady Little. The news comes as the Dodgers begin the search process for a new manager after they mutually parted ways with Mattingly, who was at the helm for five seasons, after a disappointing conclusion to the 2015 season.